In 21:6, God is the Beginning and the End. In His eternal view He has fulfilled all that He planned. In our limited view, He is still working, and while we are on the bridge of time between eternity past and eternity future, we should cooperate with what God is doing in us. The woman in John 4 drank the living water and we drink today. We have all “been given to drink one Spirit” (1 Cor. 12:13). This water is available to everyone; “the Spirit and the bride say, let him who is thirsty come; let him who wills take the water of life freely” (Rev. 22:17). Lord, bring many to drink living water now! The words of the Lamb-God on the throne are faithful and true because His person is faithful and true. Everything God speaks, He accomplishes. In His eternal view everything is already accomplished. That is why He says, “they have come to pass.” And that is why John was able to say “I saw the holy city, New Jerusalem” and why he saw so many other things. We are limited by time but God is eternal, unlimited. God is “the Alpha and the Omega, the Beginning and the End.” Alpha is the first letter of the Greek alphabet and omega is the last letter. 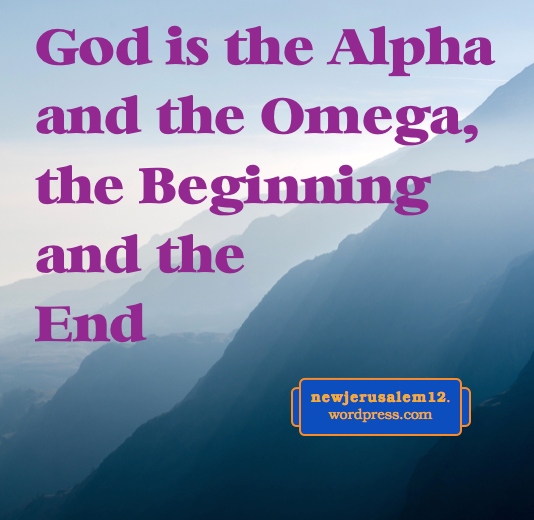 God is not only the Alpha, the Beginning, He is also the Accomplisher, the Completer, the Omega, the End. Everything He has planned from eternity, is, in His eternal view, already complete. 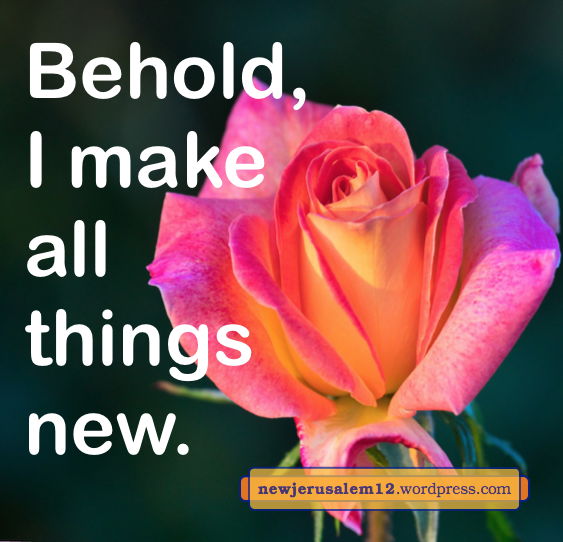 John saw New Jerusalem in a new creation and described the blessings therein. Although we do not have the complete view of the finished work, by faith we accept it and agree with it. This is Hebrews 11:1; faith substantiates the unseen things. Furthermore, we have the inner, spiritual foretaste of New Jerusalem because we are already a new creation in Christ (2 Cor. 5:17). “They have come to pass” in verse 6 refers to the foregoing words including New Jerusalem coming down out of heaven. 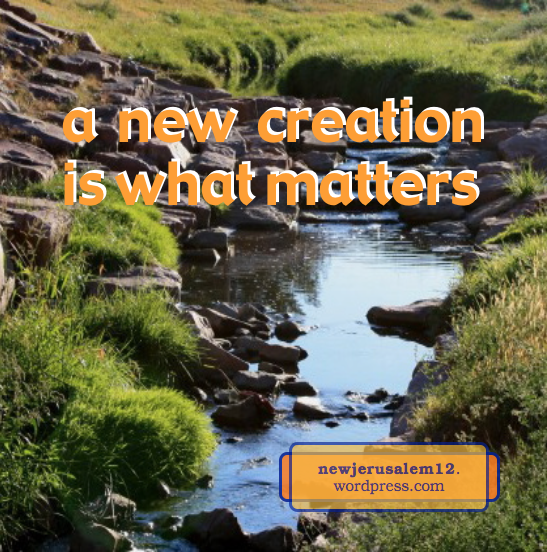 In New Jerusalem at the center of the new creation, there is a throne. This throne is for God’s administration of the universe. To His redeemed people, the constituents of New Jerusalem, it is also “the throne of grace” (Heb. 4:16) where we receive mercy and find grace, both today and eternally. because God and the Lamb are one. The Lord Jesus told us “I and the Father are one” (John 10:30) and “I am in the Father and the Father is in Me” (John 14:10). Because They are one, there is one throne. 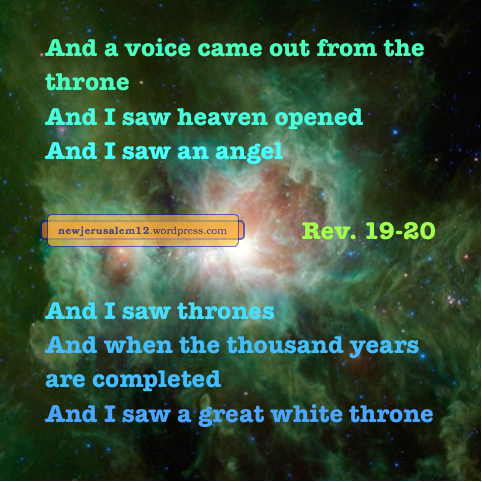 This is the throne of the redeeming Lamb-God (Rev. 22:1). This One says, “I make all things new.” Men claim to invent and make many new things but all of this is in the old, fallen creation. None of it is new in God’s sight. The new heaven, new earth, and New Jerusalem will be new because everything of the old creation will have been terminated. The entire universe will be new. Only God can do this, because only God can terminate sin, death, and Satan, the primary factors which made the old creation old. And only the redeeming Lamb-God can bring us out of oldness to make us His new creation, His new city, Jerusalem (2 Cor. 5:17). The sources of all the problems in the old creation are eliminated by the time of Revelation 20. The new heaven and new earth, which appear in verse 21:1, will be without sin and death, without sicknesses, and without demons. There will be no need of miracles to remove problems of any kind in New Jerusalem. 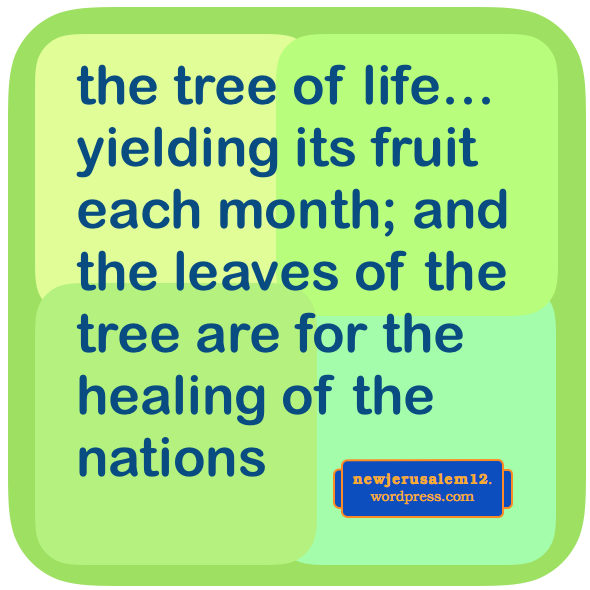 Within New Jerusalem there is “the tree of life…yielding its fruit each month; and the leaves of the tree are for the healing of the nations” (Rev. 22:2). Neither New Jerusalem nor the new creation will have any need of casting out demons, cleaning leprosy, or raising the dead. 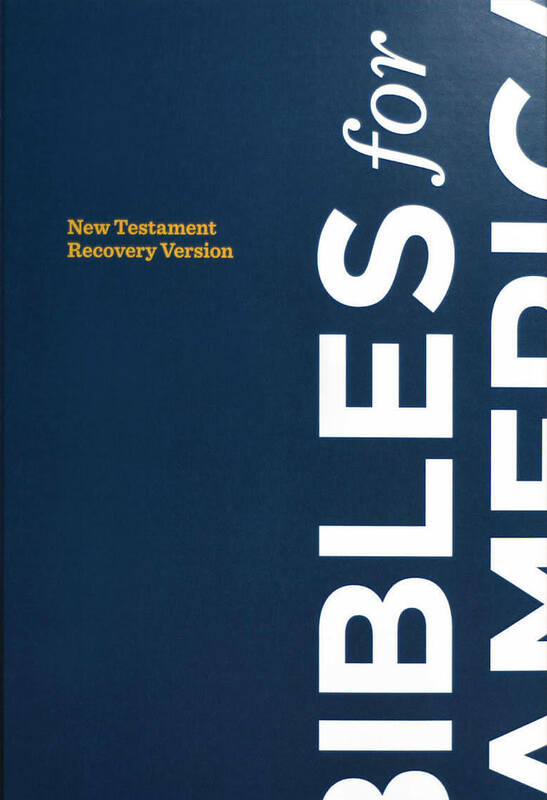 The nations will receive healing from the tree of life, a matter of life, not of miraculous power. The last war in the Bible is recorded in Revelation 20:8-10, shortly before the new creation appears with New Jerusalem. The cause of this war is Satan deceiving the nations (v. 8). The Lord Jesus told us not to be alarmed by wars and revolutions (Mark 13:7, Luke 21:9). They occur because Satan, although judged on the cross, has not been imprisoned and is able to deceive the nations through this age. But, when the new creation and New Jerusalem come, Satan will have been cast into the lake of fire (Rev. 20:10), so there will be no war in the new creation. Satan’s deception of the nations is not only outward. Satan within man is sin (Rom. 7:7-25), which leads man into many evils. James also speaks definitely about this, “Where do wars and fightings among you come from? Are they not from this, from your pleasures that war in your members? You lust and do not have; you murder and are jealous and are not able to obtain; you fight and make war.” (4:1-2). Ephesians 6:10-12 tells us to “be empowered in the Lord and in the might of His strength” because “our wrestling is not against blood and flesh but against the rulers, against the authorities, against the world-rulers of this darkness, against the spiritual forces of evil in the heavenlies.” This is another declaration that the source of war is not people but Satan and his evil hosts. Outward wars result from lusts, greed, pride, anger, and other evils in the fallen human nature. These evils have their source in Satan. Wars cause many deaths, all attributable to Satan who is a murderer from the beginning (John 8:44). In New Jerusalem and in the new creation there is no Satan, no fallen nature, no flesh, no sin, no lies, no death; hence no war. 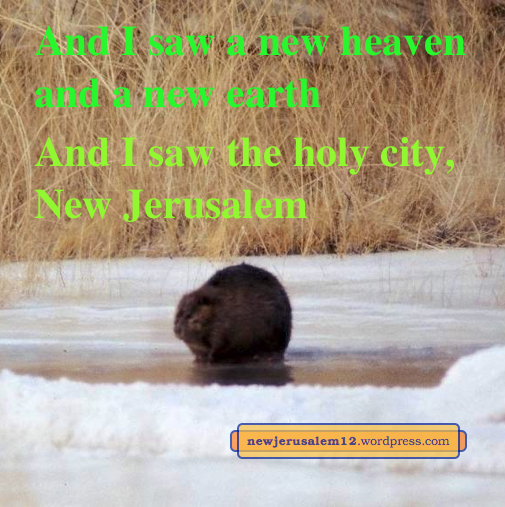 Many verses in Revelation 19—20 begin “And” linking praises, judgments, the marriage of the Lamb, His victories, and the kingdom with “And I saw a new heaven and a new earth….And I saw the holy city, New Jerusalem” at the start of chapter 21. The way to see New Jerusalem is in 21:10: “And he [an angel] carried me away in spirit onto a great and high mountain and showed me the holy city, Jerusalem.” And couples this with the angels having the last plagues (v. 9), indicating that the plagues are a base for brining in New Jerusalem. The description of the city in 21:11-23 has multiple ands because the city is one whole entity. Verses 21:24-26 each begin And, showing that the nations around New Jerusalem are coupled to it although not integral parts of it. After the description of life in New Jerusalem we read, “And he [the angel] said to me, These words are faithful and true…” (v. 6). Then the Lord speaks “And behold, I come quickly.” (v. 7). 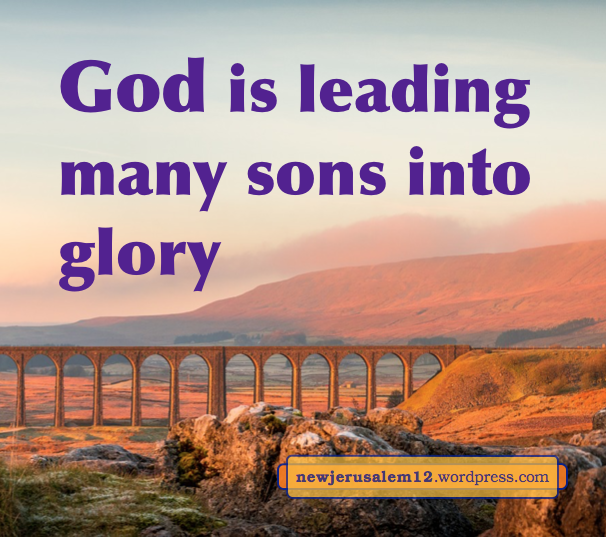 The Lord’s second coming is not separate from New Jerusalem but rather is tied to it. 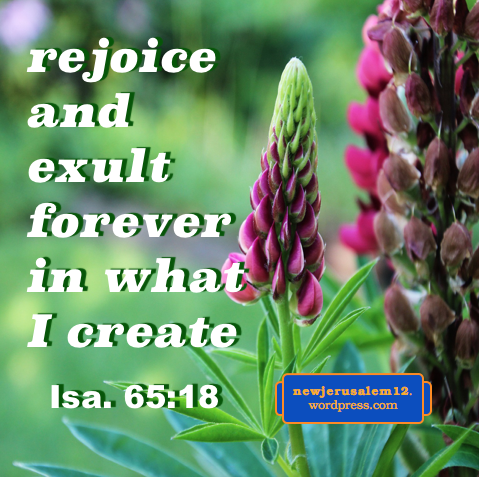 After writing the previous posts about the new creation, I realized that the vast majority of verses in Revelation 19 to 22 begin “And.” This indicates that every-thing in these chapters is connected. In quoting individual verses I did not include “And” but here are a few examples. Chapter 19 begins with praise for the judgments in 17 and 18. Verse 5: “And a voice came out from the throne…” Verse 6: “And I heard as it were the voice of a great multitude…” Then “Hallelujah! For the Lord our God the Almighty reigns.” This reigning brings in the marriage and the marriage dinner of the Lamb. Verse 11: “And I saw heaven opened…” Verse 20: “And the beast was seized…” Christ and His armies come and defeat the beast, the false prophet, and their armies. 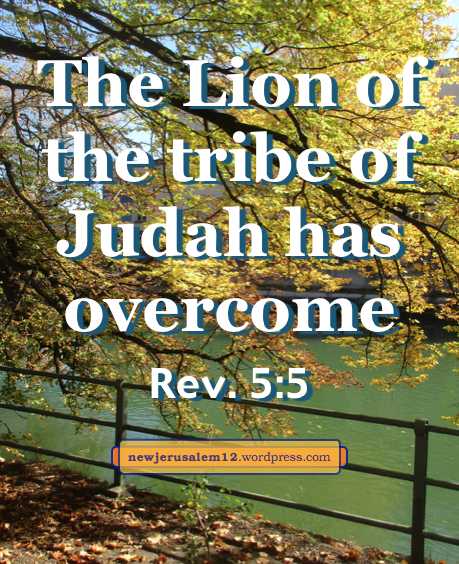 The praises and the marriage of the Lamb and His victorious appearing and His victory and the kingdom and the casting out of all negatives are all tied together and lead unto the new creation and New Jerusalem. 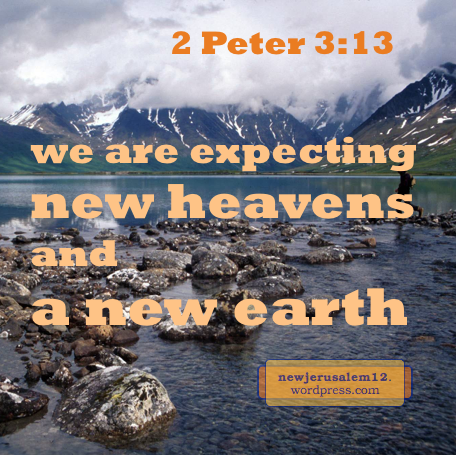 Revelation 21:1: “I saw a new heaven and a new earth; for the first heaven and the first earth passed away.” God created the heavens and the earth for His purpose, but it is not until there are a new heaven and a new earth that New Jerusalem appears. The new heaven and new earth are also in 2 Peter, “according to His promise we are expecting new heavens and a new earth.” The “promise” is God’s word in Isaiah 65:17. 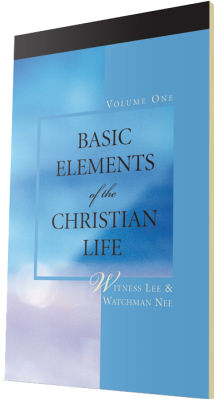 It is easy to understand that the earth was damaged by the fall of man, and thus God plans a new earth. We need to realize that heaven was also damaged by the rebellion of Satan. At least two verses speak of God’s response to this damage. Colossians 1:20: “Through Him [Christ] to reconcile all things to Himself, having made peace through the blood of His cross—through Him, whether the things on the earth or the things in the heavens.” Here the things in the heavens need reconciliation to God, which was accomplished by Christ. Ephesians 1:10 “Unto the economy of the fullness of the times, to head up all things in Christ, the things in the heavens and the things on the earth, in Him.” God’s intention is to head up things in the heavens in Christ, indicating that some were not headed up since Satan’s rebellion. Although there will be “the restoration of all things” (Acts 3:21), God desires to go further and have a new creation for His eternal dwelling, New Jerusalem. Thus, there will be the new heaven and the new earth and the new city Jerusalem after everything negative is cleaned away by the judgments in Revelation 20.